Purple sea urchin through spring and red in summer, squid in early summer, lobster through Autumn and white flounder in winter. We incorporate the finest local seafood at their seasonal peak in our dinner courses. The taste of the fish is at its best during the winter season. The rough waves of Amakusa-nada sea bring us splendid white-fleshed fish with its taste at its finest. 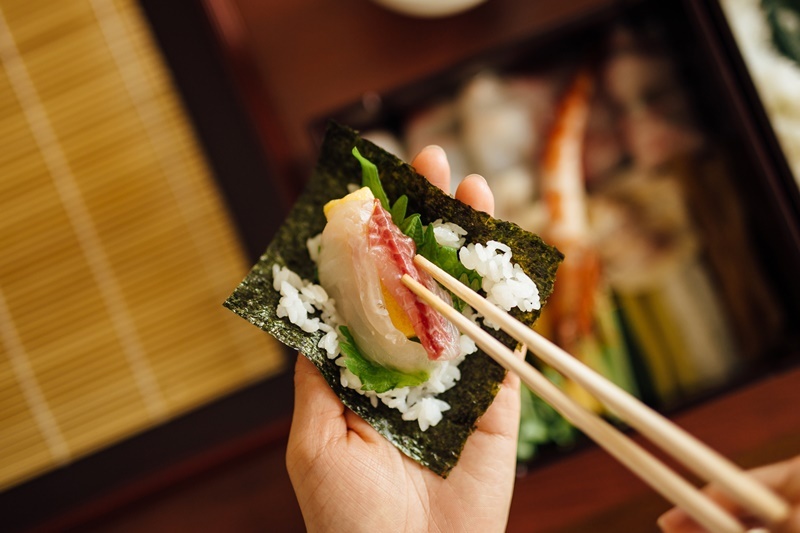 We serve the white-fleshed fish in the style of “Usuzukuri” (thinly sliced raw fish) and “Nitsuke” (boiled broth fish soup) only containing the finest of the day’s catch. This dinner course will allow you to taste our delicious white-fleshed fish to its fullest. 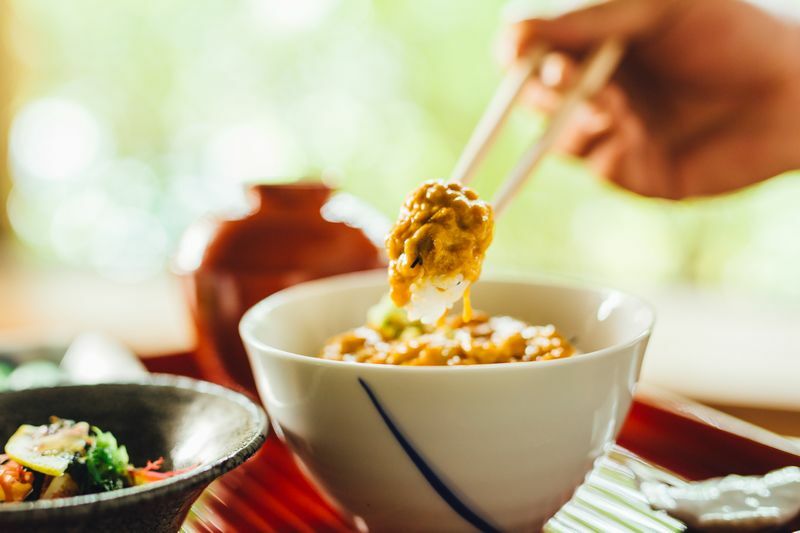 The highlight of the dinner course is the white-fleshed fish in the style of “Usuzukuri” (thinly sliced raw fish) and “Nitsuke” (boiled broth fish soup). The fish will be either the flounder or the filefish. Can only taste it at that time! The sea urchin can be caught throughout the year in Amakusa. 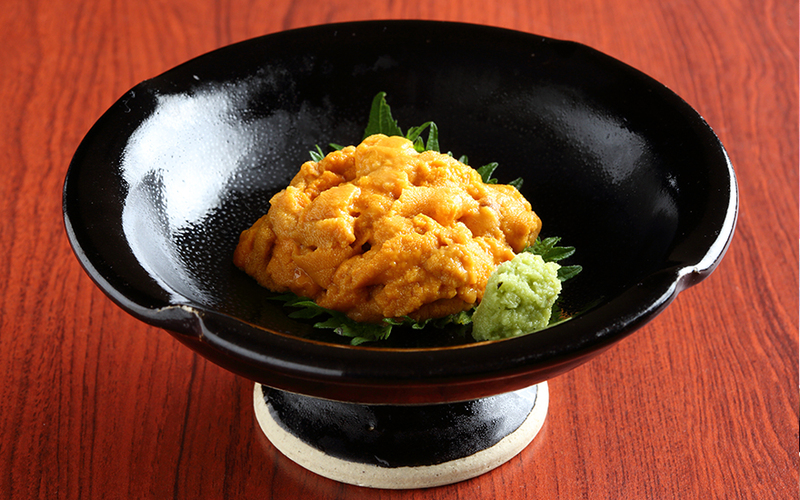 However, at Igaya, we only serve sea urchin for a limited time of the year. 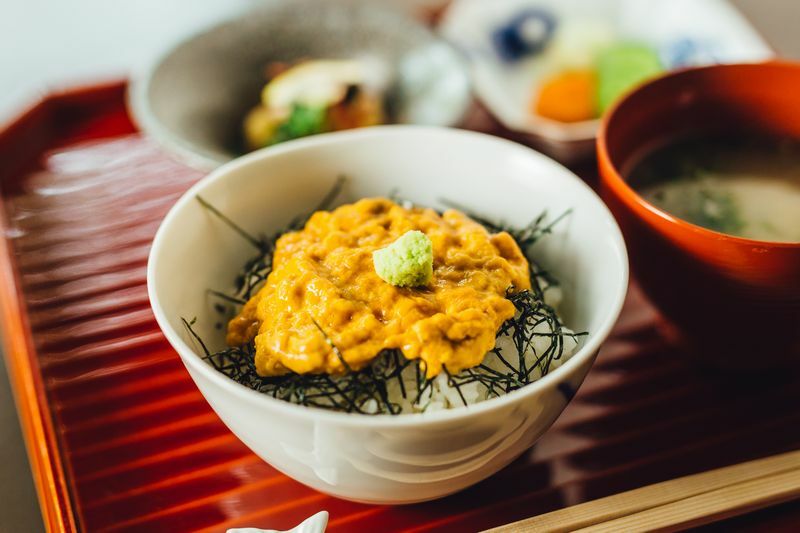 During the period of March through to early May, we serve the purple sea urchin that can be caught at Futae and Tomioka Bay where the dolphins live. For the period of July through to August, the red sea urchin is served. Simply put, they are at their best tasting during this period. Once you experience the flavour of these purple and red sea urchins at their seasonal peak you can not go back to tasting any others. We will prepare a variety of dinner courses that combine the fresh seafood of Amakusa with sweet, rich and creamy tasting purple sea urchin. Previously in the Edo period (1603-1868), Igaya was a wholesale squid distributor. The local people of Amakusa still remembers Igaya as a squid specialist and refer to us as “Ikaya” (a squid shop). Although the bigfin reef squid can be caught all year around, the squid tastes the best raw at the beginning of summer. 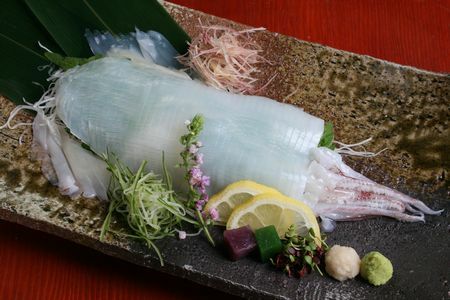 At Igaya, we only serve squid “Ikezukuri” (slices of raw seafood prepared while alive) dinner courses during this period. 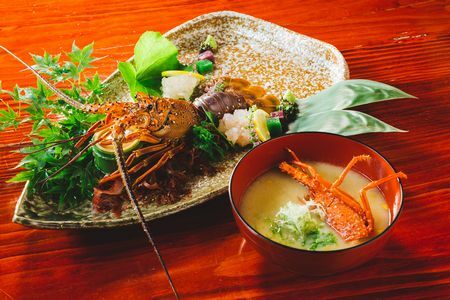 The highlight of the dinner course is “Ikezukuri” (slices of raw seafood prepared while alive) of bigfin reef squid and tempura. The sea urchin can be caught throughout the year in Amakusa. 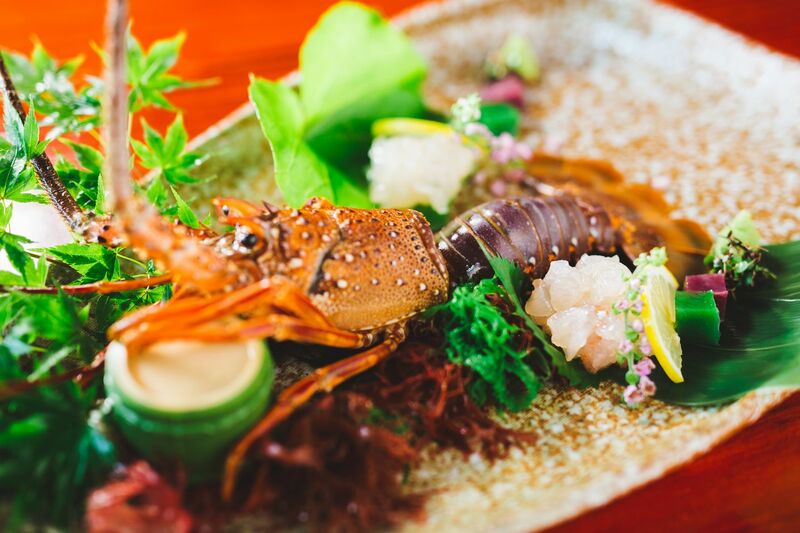 However, at Igaya, we only serve sea urchins for a limited time of the year. During the period of July through to August, we serve the red sea urchin that can be caught at Futae and Tomioka Bay where the dolphins live. For the period of March through to early May, the purple sea urchin is served. Simply put, they are at their best tasting during this period. Once you experience the flavour of these purple and red sea urchins at their seasonal peak you can not go back to tasting any others. We will prepare variety of dinner courses that combines the fresh seafood of Amakusa with sweet, rich and creamy tasting red sea urchin. We will prepare variety of dinner courses that combines the fresh seafood of Amakusa with the mackerel, our special delicacy from the sea. The taste of the fish is at its best during the winter season. The rough waves of Amakusa-nada sea bring us splendid white-fleshed fish with its taste at its finest. 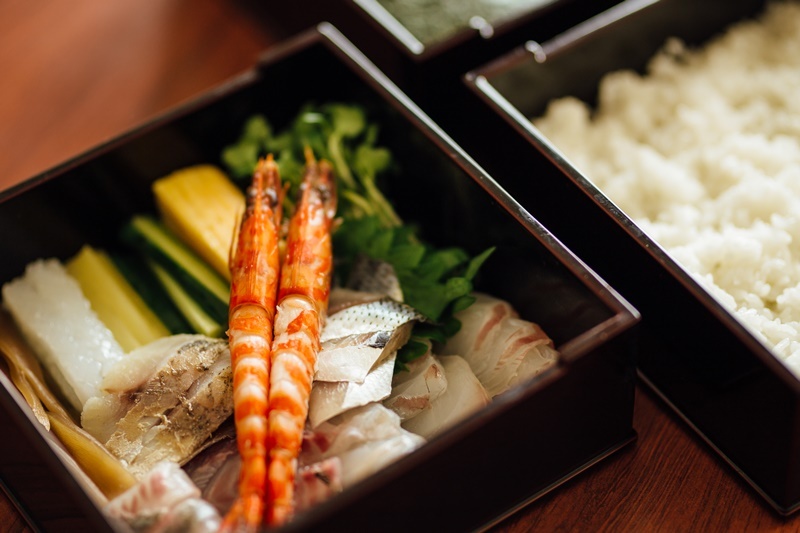 We serve the white-fleshed fish in the style of “Usuzukuri” (thinly sliced raw fish) and “Nitsuke” (boiled broth fish soup) only containing the finest of the day’s catch. This dinner course will allow you to taste our delicious white-fleshed fish to its fullest.